Great lines run deep. In this case, seventy six years deep. As many have written about more times than can be counted, the great Bob Wehle, of Elhew Kennels, bred some of the finest English Pointers and his genetic legacy has become legendary. We are in no way trying to copy what Mr. Wehle started and achieved. However we do savor every day the crisp cracking tails and chokebore noses that unequivocally became the standard that existed before his passing, and that exists here in our humble kennel. I write this as two thirteen week old pointer puppies play gently with a two and half year old female at my feet. These wonderful dogs are incredible companions in the field, in the car, in your home and with your family. They can hunt anything with wings because their intelligence and genetic history has proven their innate ability to understand training concepts incredibly quickly. They know what their handlers and owners desire during training, play time, and quiet house time as well. They are patient yet beaming with energy. 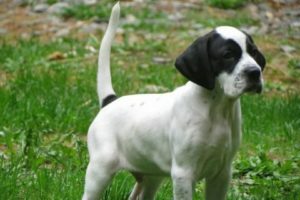 They are etched in history because one man paid attention to what an English Pointer should be. Because we adore this line so very much, we pay a great deal of attention to detail regarding both males and females that we consider for future breeding. We want the best of the best, with temperament, intelligence, and nose taking great priority. The benefit here is that with this line of dogs, you can also enjoy the best of both worlds because the dogs are just striking to look at, and to watch think, and move. Feel free to review the breedings that have taken place and the breedings that we’re scheduling and if you have any questions, as always, don’t hesitate to call or write.